Hopefully you saw my Connecticut Haul from a week ago, which was a couple Barielles - my firsts! - something called Sation, and two of the Maybelline Sequin Holiday 2012, which I found at Rite Aid. We don't have Rite Aid's in Texas so I knew I had to stop there when I went to CT for my Mom's birthday! At TJ Maxx, while shopping with my awesome Grandmother, I found the Barielles and the Sation. The Sation matched a sweater I bought (post coming up!) and the blue Barielle I found - for $2.99!!!!!! - was called Blackened Bleu, and this fabulous little pink is called Jewelie Box. 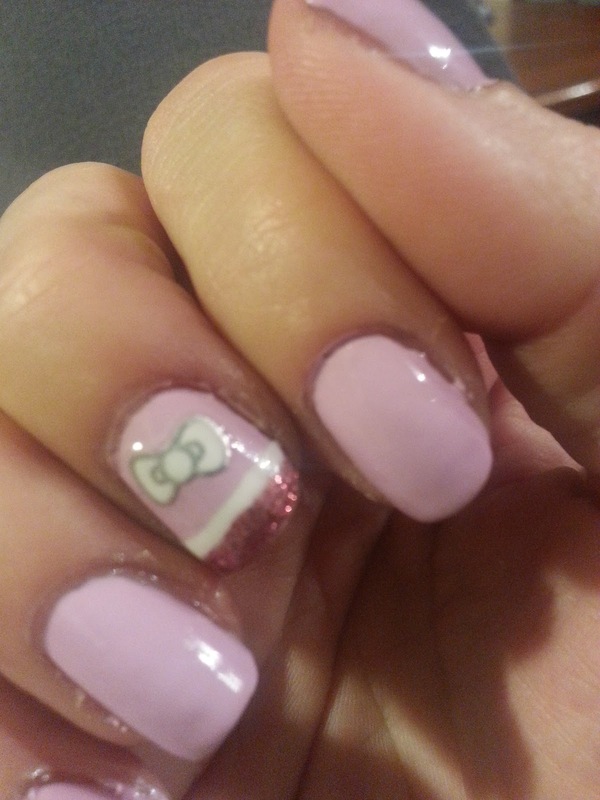 On my accent nails are ButterLONDON's Rosie Lee and a couple Hello Kitty nail decals that I received as a 100p perk from Sephora. 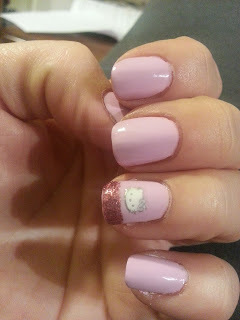 I love the result! 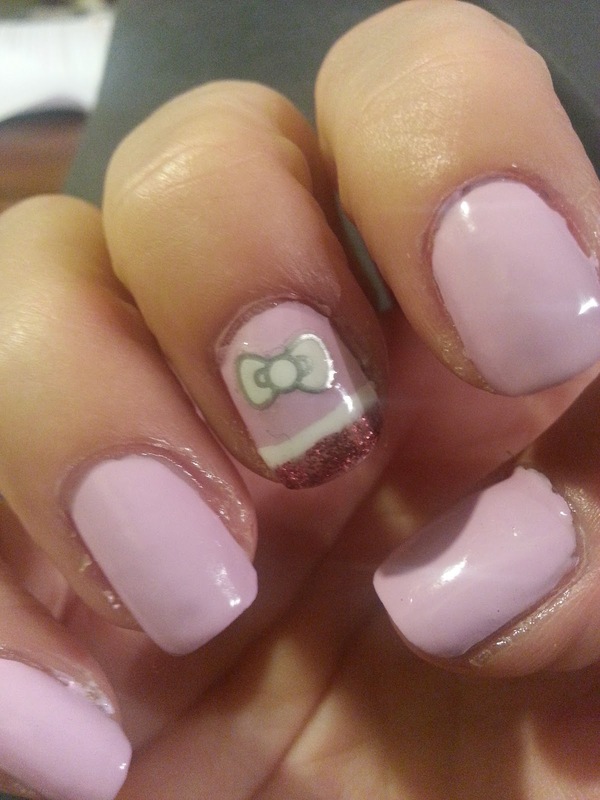 Very cute, girly, very ME! Even the boyfriend thought the color was "nice" although he rolled his eyes once he saw it was Hello Kitty on the accent nails, LOL. 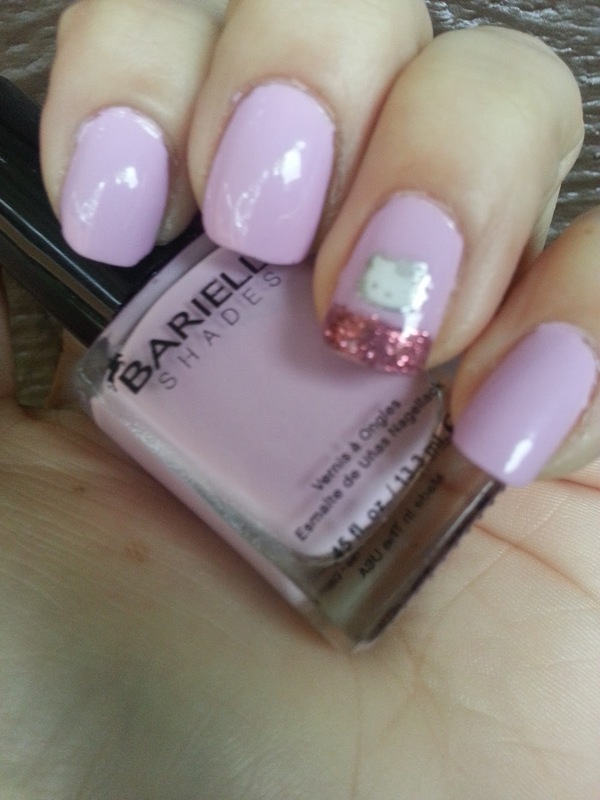 Barielle is a GREAT formula!! I plan to keep my eye out for more of these shades. I was told Falling Star, a blue with red glitters, is a must have. 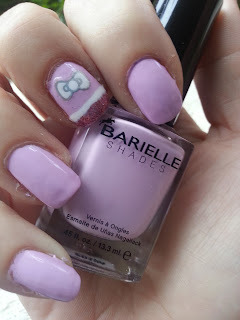 Are there any other amazing must-have shades by Barielle? Leave me comments or come visit on FacebooK!